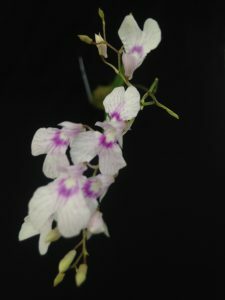 This small growing species has a wide distribution through Central and South America as well as the Caribbean Islands. Is found from sea level up to about 1000m and we have seen it on school expeditions to Costa Rica. It flowers very quickly from seed and is a coloniser of fruit trees and coffee bushes. 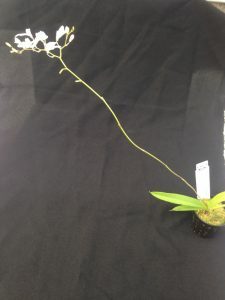 The plant is 5cm high and the flowers are borne on a 30cm flower spike.